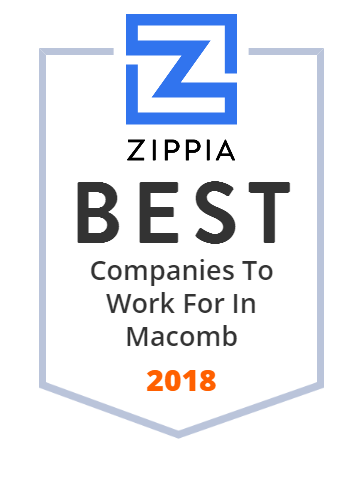 We hand-curated a list of the best companies to work for headquartered in and around Macomb, MI using data on salaries, company financial health, and employee diversity. Macomb Township is a general law township and northern suburb of Detroit located in Macomb County in the US state of Michigan, in the Metropolitan Detroit region. Macomb Twp. Michigan MI Hicks Plastics Company specializes in vacuum metalized plastic chrome finishes, durable reflective paint coatings, custom injection molding and complete automotive part assembly. ISO 9001-2000 Registered. Global Tooling Systems, Inc. designs, engineers, and manufactures high precision manual, semi-automated, and automated tooling and assembly lines for aerospace, military vehicles, and space markets in the United States and internationally. It offers integration, aircraft tooling engineering, design engineering/controls engineering, contract services and onsite design support, laser tracker support, concurrent design and build programs, aircraft tooling installation support, program management, assembly/sub-assembly tooling, tooling/parts machining, automated and mechanized equipment, bond tools, masters, lay-up mandrels, mill fixtures, stretch form tooling, facility and ground support equipment, assembly fixtures, scaffolding and workstands, and moulds and trim fixtures. Global Tooling Systems, Inc. was formerly known as Jedav Industries, Inc. The company was founded in 1995 and is based in Macomb Township, Michigan. Global Tooling Systems, Inc. operates as a subsidiary of Ascent Aerospace.